Senate Bill 2195 also called the Androstenedione Ban was passed by unanimous consent in the United States Senate on October 8th, 2004 and has been signed into law by President Bush. By passing this bill, the Congress has amended the Controlled Substances Act to include Androstenedione supplements such as 4 Androstenediol, 5 Androstenediol, etc. The original Anabolic Steroid Control Act was passed in 1990 creating a list of anabolic steroids that would be classified as "Schedule III" substances and put in the same category as drugs such as heroin and cocaine. Now, with the passage of Senate Bill 2195 (the Anabolic Steroid Control Act of 2004), they have added Androstenedione supplements to the Controlled Substances Act. Andro-Shock may be the most potent legal testosterone support stack sold as a safe alternative to steroids with 10 dietary supplement ingredients that are believed to help boost your body's own natural testosterone levels. 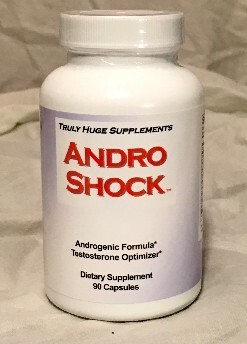 The total benefits of the Andro-Shock supplement are synergistic, meaning when certain supplements are combined, their overall net effects may be enhanced. 100 mg. Tongkat Ali (Long Jack), 100 mg. DHEA, 30 mg. Zinc Sulphate, 200 mg. Saw Palmetto, 150 mg. Chrysin, 350 mg. Tribulus Terrestris, 100 mg Avena Sativa, 250 mg. Muira Puma, 300 mg. Nettle Extract and 30mg. Betasistosterol. As a dietary supplement, take 3 capsules 1 or 2 times a day, or as directed by your qualified health consultant. Not for use by anyone under the age of 21, women, or men with prostate disease. If you are taking any prescription medication or are under medical care for any disease, please consult your physician before taking this product. 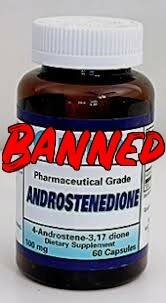 Checkout our andro for sale it is the best, legal andro stack for men without the side effects of steroids. * If you live outside the U.S. check to see if these products are legal in your country. If you order from a country where DHEA is illegal we will send you the DHEA free version.